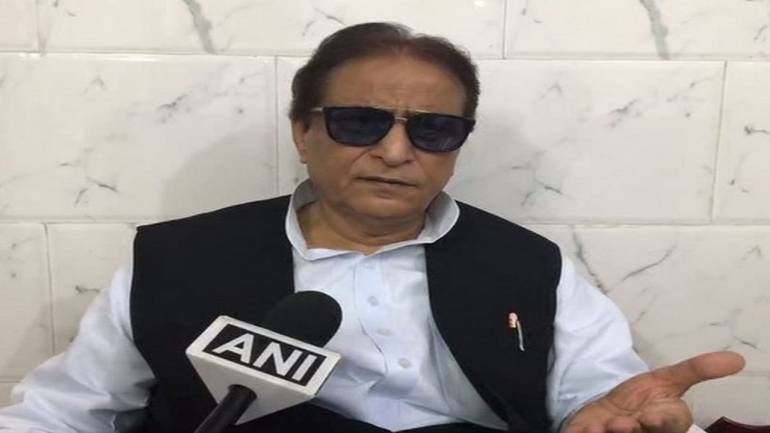 Senior Samajwadi Party (SP) leader and former minister Azam Khan on Sunday made a below the belt ‘khaki’ comment on Jaya Prada’s innerwear, who is contesting the Lok Sabha poll from Rampur on the BJP ticket. “I brought her (Jaya Prada) to Rampur. You are a witness that I did not allow anyone to touch her body. It took you 17 years to identify her real face but I got to know in 17 days that she wears khaki underp****,” said Khan while addressing an election rally in Rampur. Finally returned to area with network, only to discover the illustrious Azam Khan say this about Jaya Prada. Khan, who is in the fray from Rampur on the SP ticket, made the obnoxious remark in the presence of former chief minister Akhilesh Yadav and other senior party leaders, who were present on the dais. “BJP candidate! You told TV channels after performing ‘puja’ that there is a ‘daanav’ in Rampur. I have to finish. I did not know what ‘daanav’ meant. My Hindu friends told me that it means ‘rakhshas,” said Khan. “Remember for two people I was expelled from the SP. I did not rebel. I did not complain and I waited. I did not change the boat,” he said. “It is not a question of victory or defeat. It is not even a question of my victory or defeat. The question is if the change will happen in the country or not,” he said. “Let one Azam Khan get sacrificed but (Prime Minister Narendra) Modi’s cruel rule must go way. Those who make Ali-Bajrang Bali fight, their rule should go,” he said. The election for 80 Lok Sabha seats in the state is scheduled to be conducted in all seven phases. Eight seats in the state went to polls in the first phase on April 11. The final phase of voting will take place on May 19. The results will be announced on May 23. Previous Post Previous Post Do Regional Parties Hold The Key To Next Govt?